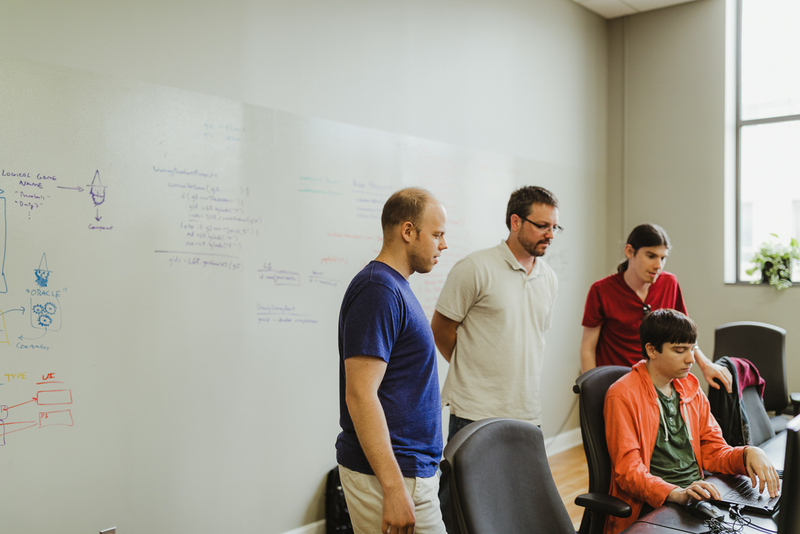 At Atomic, we work in small, self-managing teams. This means that everyone on the team has the chance to communicate with the client. Unfortunately, it can be easy for senior developers to become the entire voice of their team and make their teammates feel like their opinions and contributions aren’t appreciated. This may lead to FUDA, poor performance, and low morale within the team. Here are three things I’ve learned that help empower and build trust with your team. This does two things. First, it tells the customer that you are drawing from your own experiences. But, more importantly, it shows your teammates respect. They won’t feel like you are speaking for them. It might also make them feel more empowered to give their own opinion or share their experiences. Your teammates are all motivated to help a project succeed. That means everyone contributes to the team’s success. Don’t present big wins by talking about the things you did to contribute to them. You may have written the code that made Feature X run 10 times faster, but I’m sure your teammates contributed in different ways. Maybe you had a conversation with your colleague about how the existing feature was slow, and something they said sparked an idea for an optimization. Maybe you did come up with the idea and wrote it all on your own, but while you were doing that, your teammates were tackling other stories, keeping velocity up. You should feel proud that you made a significant contribution toward the overall success of the project, but give your teammates the credit they deserve, too. If the team gets credit for success, it also takes responsibility for failures. It’s easy to construct a story in your head that it isn’t your fault the team failed. But, instead of blaming, think about what you could have done differently to help the team succeed. Maybe you were mentally checked out of a conversation where a lot of decisions were made that led to this particular failure, or maybe you should have pushed back on a decision but chose not to. Failures are not a time to blame others, but a time for you to grow. It’s important not to stew on failures, but to try to understand what you could have done to avoid them. Teams are complex organisms. There are many other factors that can influence the productivity, creativity, and fun of a team. These are just a few small ways you can start building your team’s morale and leading it in the right direction.